As healthcare shifts from being reactive to proactive, information technology is taking that move a step further through intuitive apps and programs that anticipate patient problems before they happen. In same vein as predictive modeling for population health, predictive technology is appearing as wearable sensors and even phone apps to ascertain changes in a patient's vitals, routines and even moods. 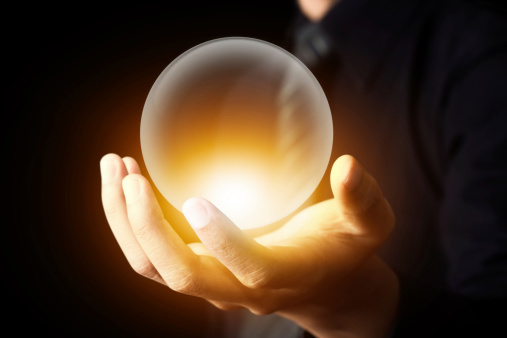 In particular, the trend toward predictive technology is gaining traction in the long-term care sector as skilled nursing and senior living facility operators look for ways to monitor residents in an unobtrusive manner. This development should also be of interest to hospitals as the formation of accountable care organizations and other post-acute care networks continue to grow. Mike MacLeod, founder and president of Charlottesville, Va.-based Status Solutions, is on a crusade to promote "situational awareness" based on his product line's performance. "We are a verb-based, action-oriented business in which situational awareness is an outcome," MacLeod said. "We build products that are incidental to experiences and to the outcomes they create." The company's Situational Awareness and Response Assistant, known as SARA, is designed to improve communication, workflow and service through automatic alerting – especially in the event of an emergency, MacLeod said. "If you can read, hear and see what's happening in real time, you can do something about it," he said. "From a blown fuse to a life-and-death scenario, SARA helps prevent operational disruptions and speeds emergency response. Real-time and historical reports then let you analyze response times and protocols to identify problems and make improvements to prevent loss of life and property." The biggest driver of predictive technology has been the advancements made with smart phones and wearable devices, such as Fitbits and Apple watches, MacLeod said. By capturing the sensor data, each patient's routines can be monitored and whenever there is a deviation from the routine, the system can interpret and make inferences, he said. "We turn motion into meaning … the first thing you do when you don't feel good is slow down," MacLeod said. Although Norman, Okla.-based CISCOR created its predictive technology eight years ago, the rate of acceptance from healthcare organizations has taken time to grow, said Sam Youngwirth, company principal. "It is now becoming more and more a topic of conversation," he said. "When we first developed it, the market wasn't ready for it yet. But now it has become part of our nomenclature – the confidence factor is stronger now and the comfort level is where it's here to stay. It is part of our environment." CISCOR's product line has evolved with the healthcare industry as caregivers transition from a mindset of responding reactively to trying to be more proactive and get out in front of an incident before it happens, Youngwirth said. For skilled nursing facility residents, the probability of an incident increases when they deviate from their normal routines. The CISCOR system helps caregivers learn individual resident patterns and sends an alert whenever there is a change in their normal activity. "This allows caregivers the opportunity to intercede before an incident occurs," Youngwirth said." A key element is the ability to provide a system that can be individualized to each resident." Smart phone apps are a frontier for predictive analytics and the winner of the HX360 Innovation Challenge at HIMSS15 in Chicago is using it to save lives. Pat Saxman, head of business development and partnerships at ginger.io, says the technology uses digital exhaust from smart phones "to determine improving or declining mental health state" among patients. The company's research shows that 57 million suffer from a mental health issue, and that two out of three cases go undiagnosed, leading to an $80 billion cost resulting from lack of treatment. "It's a foundation that allows for the identification of the right intervention for the patient," Saxman said. "The smartphone is the most powerful sensor in healthcare. Digital exhaust creates a signature for the individual – we look for changes in communication patterns. It chronicles what happens between clinic visits." Included in the predictive technology category are artificial intelligence devices, which are already serving logistics, surveillance and security purposes in healthcare. In looking at the future, what roles will they play? "Drones are noisy, but robots will definitely be playing a larger role in the future, taking over routine jobs such as cleaning, providing companionship and remote monitoring capabilities," said Laurence M. Yudkovitch, product manager for Buffalo Grove, Ill.-based RF Technologies' Senior Living Solutions. "AI agents, such as Apple's Siri or Amazon's Echo will be expanded to not only answer questions, but also store patient preferences and detect mood changes. Robots will also be able to assist seniors with routine tasks and allow caregivers to check in on them." Rachel Owens, vice president of product management for Long Island City, N.Y.-based PointRF Solutions, says creative implementation AI and predictive technology will not only help patients, but will also be more cost effective for healthcare organizations. "Technology such as smart wall-mounted android devices and Blue Tooth Low Energy wearables will tremendously impact the way that facilities watch over residents in the future," she said. "PointRF's next generation of smart infrastructure and resident tags is working toward more affordable infrastructure that secures facilities in an unobtrusive way. It enables patient safety and dignity while providing the added important benefits of health metrics, such as pedometer and heart rate, so clinical staff can improve resident care without increasing facility costs." To be sure, technology has evolved to include capabilities "beyond pull cords and cameras to include body worn emergency call devices with automatic fall detection, wander alert and other passive sensors to allow more freedom of movement while still supporting safety," said Janice Oldmeadow, field marketing manager of senior living for Philips Home Monitoring in Murrysville, Pa.
"The key to the evolution has to do with the miniaturization of electronic circuitry," she said. "Facility-wide high speed internet, miniaturized sensors and cameras, intelligent monitoring algorithms with predictive capability and smaller body worn devices will change the infrastructure in the future."